Israeli (Pearl) Couscous, butternut squash, apples, pears, figs, cranberries, cheese, and pecans with an orange vinaigrette--cornucopia salad. I've had some Israeli couscous (actually a blend) in my cabinet for a few months. Waiting. Fall..I adore pears...here I've just poached them slowly in port with some orange peel and cinnamon sticks. Thursday I had a big pot of turkey chili on the stove and called some friends to run over and help eat it. This salad, which began in my head days before it ended up in our stomachs, started the meal. I cooked the couscous and started chopping fruit and toasting nuts. It came together that easily; it's fairly fast, too. I did think I might have liked walnut oil for the vinaigrette, but the only can I had was in the frig at our Colorado house where it'll stay a bit fresher over the time we're not there. 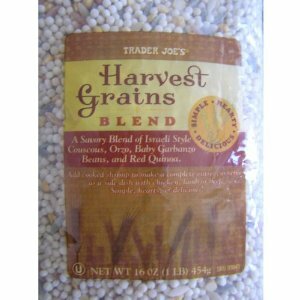 *I used Harvest Grains Blend from Trader Joe's (available on amazon.com as well), which is a "savory blend of Israeli Couscous, Orzo, Baby Garbanzo beans, and Red Quinoa." Regular Israeli or pearl couscous is fine and orzo or even farro would be easily workable substitutes. Place squash in a large microwave-safe dish and, using a sharp thin knife, poke a few holes in the largest section for escaping steam. Microwave on high 3-5 minutes (depending on size of the squash--a 1.5lb squash might take 5 minutes, for example) and remove the squash to a cutting board. Using a large chef's knife, carefully cut the squash in half horizontally and with a large spoon, scoop out seeds and strings. Place the two halves back in the baking dish with a little (2 tablespoons or so) water and put the dish back in the microwave. Cook another five minutes on high or so (depending on the size of the squash) until tender. Covering the squash with plastic wrap or a microwave-safe cover will decrease the cooking time. I have also filled the center section with butter and a little brown sugar and served it just like that. (I often do this with acorn squash for a quick hot lunch.) Otherwise, you can let the squash cool, and then peel and chop or mash it according to your needs. This is much easier than peeling (or cutting) raw butternut squash, which is, at best, difficult. 1. It's delicious; it's good for your body. 2. It's easy to prepare in several ways: Stick in oven, saute, braise, boil, or microwave. 4. 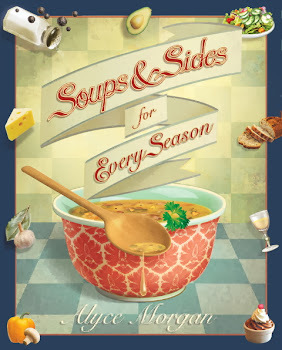 It's an excellent addition to soups and stews. 5. It's a good substitute for potatoes with pot roast or roasted chicken. 6. It's inexpensive and easy to find nearly year round, but particularly now. Don't want to deal with the peel? You can buy peeled and cubed butternut squash or pumpkin at some markets, but you will pay a premium price. This is a lovely soup for someone who is not well or can't chew, but is luscious as well for a first course at Thanksiving. Great recipes!!! Loved all of them :) Feels great to join you guys. Love the wonderful combination of fall flavors in this salad, Alyce. What a great step-by-step photo tutorial! Butternut squash is a favorite of mine too. What a flavorful cous cous. You're such a genius to come up with such an interesting combination of flavors. The muffins in a cup are a great idea too! wow!! That must be such a party of flavors!! What an incredible recipe. I love the Autumn season as well. everything is just so beautiful. 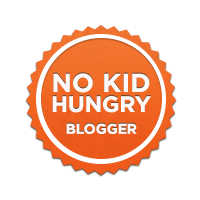 This sounds like the perfect Fall salad and I love the tip about microwaving the squash - never tried that before, but great for when you're in a rush. @Jeanette: Thanks! Try microwaving the squash. It's not exactly like oven-roasting it, of course, but for some recipes it works very well.